Chapter Stores are a great way for your chapter members to shop for exclusive products at a discount. Imagine having your own little private store on stuff4GREEKS. To get a page of products designed exclusively for your chapter, you will need to order at least four (4) different custom products for your chapter, minimum quantity one (1) of each. 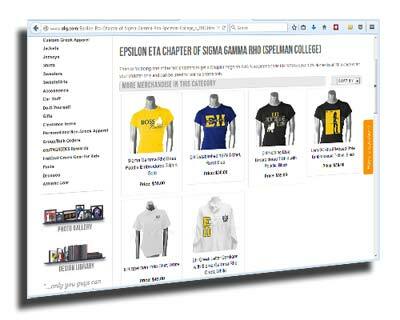 Then contact us and request that we create a mini-store for your chapter. You can offer the products that you created, plus up to 12 more items.